With nearly a third of women in their 20s now sporting a tattoo, a JCU researcher says the growth of the ‘ink’ industry shows no sign of slowing down. With nearly a third of women in their 20s now sporting a tattoo, a James Cook University researcher says the growth of the ‘ink’ industry shows no sign of slowing down. Dr Eduardo de la Fuente said a quarter of people aged 18 to 30 are now tattooed, with that figure approaching 33 percent for women in their 20s. He said what was used to show membership of a group morphed into the mark of an outsider and then came back full-circle. Dr de la Fuente said non-respectable behaviour became more respectable with the youth revolution of the 50s, 60s and 70s, but it wasn’t until the 1990s that tattoos became more mainstream. He said ‘full sleeve’ tattoos are popular amongst those who want to show they are ‘serious’ about tattooing and that the art form is more than just a fad to them. Dr de la Fuente said data shows it is Generation Y (born in the 1980s) and those who come after who are predominantly getting tattoos. 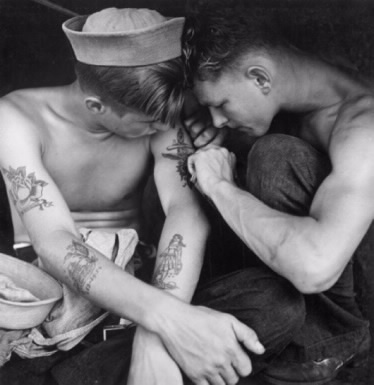 But lately there has also been a big increase in the number of people over 45 getting their first tattoo. Dr de la Fuente said that suggests that the “aestheticisation of the body is becoming more popular even amongst middle-aged people”. · Dr de la Fuente recently took up the position of Senior Lecturer in Creativity and Innovation in the Arts and Creative Media Academic Group. He has previously held academic positions in sociology and communications programs at the University of Tasmania, Macquarie University, Monash University and Flinders University. · Dr de la Fuente will be releasing a book on everyday aesthetics - including aesthetics of the body - in 2016.